EA Games have put up an offer on their Origin site regarding the Dead Space franchise. 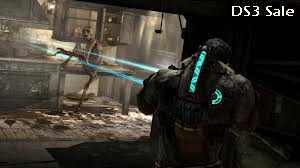 The entire Dead Space series have been given discounts for the Xbox 360, PS3 and PC versions. Amazingly, this even includes the rather new Dead Space 3 and the latest DLC that goes with it. All three of the games in the series have been reduced by 50% the price that they usually are. Dead Space 1 and 2 are both priced at a quite brilliant and reasonable £6.60 or $10. The new Dead Space 3 game is priced at £27.96 or $41.99 which is also fantastic value for money. All these prices are for all of the three platforms respectively. The new Dead Space 3 DLC pack is priced at £2.32 or $3.49 and the sale will start on March 7th at 10am PST. The awakened DLC is next up to be released for Dead Space 3, and EA may even be tempted to reduce the price of that in the future. You can check out all of the above offers that we have mentioned here and see for yourself.